An Enterprise resource planning (ERP) software or system advancement enables associations to more readily deal with their assets. The most indispensable plan to be accomplished through ERP software is to incorporate back office business forms and encouraging the data stream inside an association to take information driven choices. So enterprise assets arranging software/system gathers information from different dimensions of an association and sorts out it for business exercises crosswise over divisions. With a devoted enterprise asset arranging software/system advancement, an association can institutionalize and robotize its procedures to accomplish abnormal state of effectiveness in its activities. The ERP system guarantees that all representatives in an association are working with similar information and viewing a similar key-execution pointers. Nik Soft Designs LLP has been developing a wide range of enterprise solutions for diverse industry verticals. The company is backed by more than a decade of IT infrastructure development and management expertise and is also capable in dedicated enterprise resource planning software development for industry specific requirements. At Nik Soft Designs LLP, our experts know that an ERP software development depends upon the specific processes an organization wants to improve and also on whether the organization sells products or services. It collects financial data and generates reports based on it. These reports include ledgers, trial balance data, overall balance sheets and quarterly financial statements. It collects date and generates reports based on it. These reports include recruitments of employees, performance reviews, training and professional development, mediation and exit interviews. This module generates data based reports about non-capitalized assets and stock. This part of an ERP system generates reports about materials, and finances as they keep moving from supplier to manufacturers to wholesaler to retailer to consumer. The impact of ERP software isn’t limited to a specific industry. There are a number of industries which have implemented or are looking for dedicated ERP software, systems and solutions. 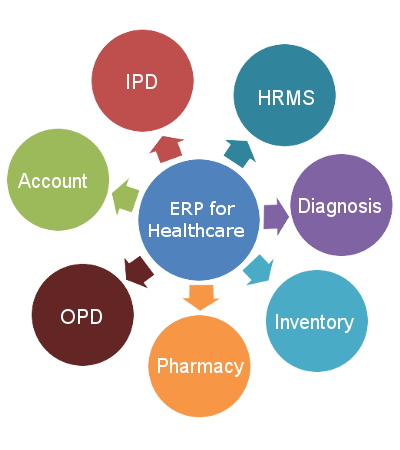 Whether you’re a healthcare institution bursting at the seams or a diamond merchant that needs to smooth out its business processes, the impact of ERP software on your business or organization is clearly perceptible. Here are few examples of industries that are nowadays looking for ERP software. 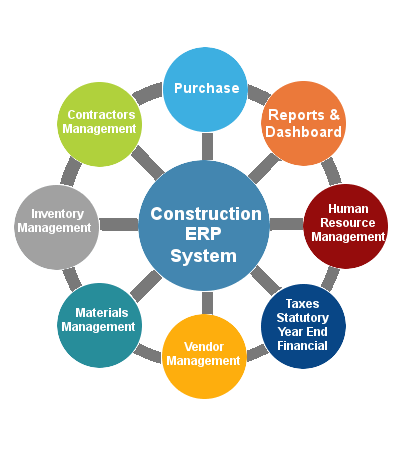 A solid ERP solution is a ‘must-have’ tool for the businesses in the construction industry as they have to deal with a variety of materials, inventories, equipment-rentals, trades & traders, cost-control, and other critical parties, processes, and procedures. With an ERP system, all the operations in a construction company can be streamlined and automated to make smoother execution of the work-flow. Emerging as a single place to manage all projects, accounting, sales, marketing, tenders, site management etc. Automobile and automotive companies pursue fast-paced work processes to stay in the competition. Of course, they need a system that can take care of everything these companies do and of everyone, who is their employee, customer and partner. This is why automobile and automotive companies heavily rely on ERP systems to thrive and success in the global economy. 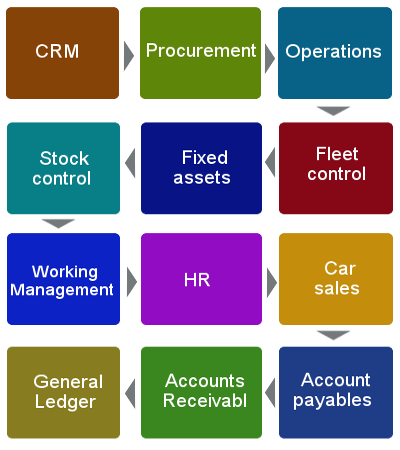 A dedicatedly designed ERP system for companies in automobile / automotive industry increases flexibility and scalability. It also accelerates deployment, business continuity, and usability. 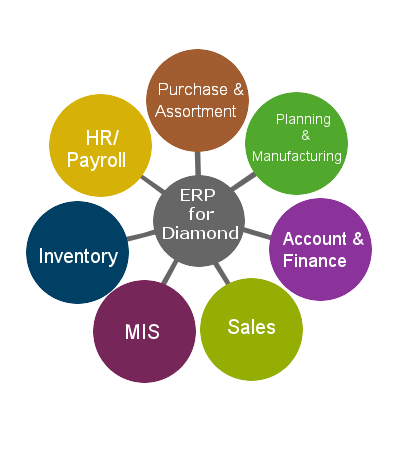 An ERP system for diamond industry helps businesses never let customers go back empty handed. If a customer comes to a diamond merchant for a diamond of particular size or cut, the ERP helps in arranging the product. In this way, you never disappoint customers as the ERP knows better and suggests the best options for a diamond available in the market. Managing quantity as per products sell faster and then maintaining stocks. 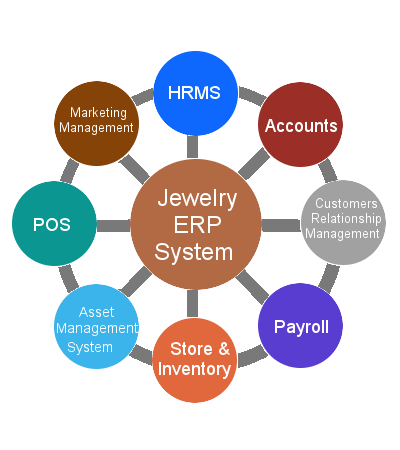 For the businesses in Jewelry industry, an ERP system is really a great asset as it provides excellent support in manufacturing, wholesaling, and retailing processes. The ERP would be able to handle an ample amount of transactional data, which is naturally generated as per the nature of jewelry business. Taking benefits of simple, concentrated backup options. There are so many aspects that move together to make the offerings of a hospitality business successful. If one of them is not responding in the requisite manner, things may fall apart and in turn, customers / guests will be dissatisfied. 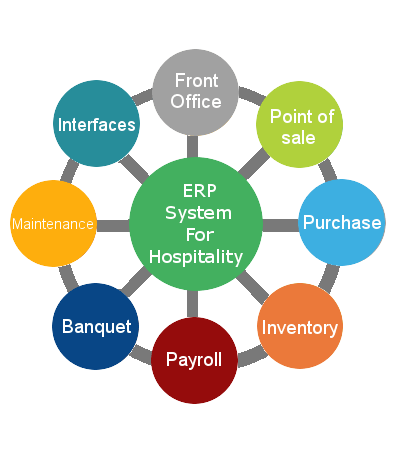 An ERP system can help businesses in hospitality industry automate a lot of their processes, save time and reduce stress. Maintaining guest history that helps staff better manage customers and increase the rate of retention. Replying to inquires like real time availability of rooms, check-ins/checkouts, charges, etc. Providing way to keep a close eye through a single dashboard on all the ongoing processes . Easy for managers.